Websites for startup is really challenging because very often a startup’s online identity is their sole branding tool, a point of contact with their target audience and a sales outlet all rolled into one. 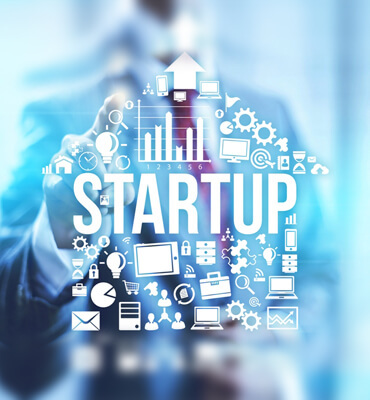 The startup website represents a business that’s wants to compete with other established players in the niche and entrench itself in the target market. This is not easy, but it becomes relatively easier to do so if the website looks credible. This credibility stems from the use of relevant visuals and text and also offering information that helps the audience make informed decisions. Make sure that your website is SEO friendly and this doesn’t mean friendly for the search engines, but accessible to the people who are searching for information on your site by using search engines. The client will approach you with his product idea or reference website, but explaining to client will be your job. You might find that your startup clients have very little idea about what they want other than the fact that they want a website. You’ll need to work with them to find out more about their requirements and their expectations from the site. It’s important to understand what they want if you are to deliver on their needs. This collaboration should end at the planning stage but continue through the duration of the project. Keep them in the loop about project progress at all times to ensure the website is up to their expectations.